We may disagree with president Koroma’s policy choices and the direction he is taking the country, but our concern for the stability of the government and the country in particular must be shared by all. But after a politically turbulent week, brought on largely by the bad behaviour and unprofessional conduct of some of his closest ministers and advisers at State House, one has to feel sorry for the president. And it is no surprising that he is now seeking respite in Europe from occupational stress. But president Koroma is going to need more than a siesta in the capitals of Europe. When he does return to Freetown he will be welcomed at Lungi Airport by a host of problems, emanating from the internal strife and chaos now brewing at State House. The unnecessary arrest and detention of two journalists for simply criticising the president is now being seen as part of a much wider feud, among those claiming to be loyal supporters of the president on the one hand and the vice president on the other. This cannot be good for Sierra Leone and has to stop. The announcement by the president of his new cabinet to take forward his new Agenda for Prosperity after the elections victory last year was bound to be controversial among former ministers, expecting to be recalled to their previous offices. Eleven months on, there is continuing anger also amongst those ministers reshuffled into other ministries and job roles, where they feel demoted and are finding it difficult to assert their authority simply to continue their corrupt behaviour. The problem president Koroma faces now is that ministers who have been sacked, either through the last reshuffle or because of their gross misdemeanour in office, are now causing serious headache for the president. They are stirring the hornet’s nest to show their displeasure at falling out of the president’s favour, even at the expense of destabilising the very government to which they once belonged and the ruling party they claim to love. But perhaps the most destabilising for president Koroma is the ‘internally engineered’ animosity between himself and vice president Sam Sumana, as several senior ministers and advisers are opposed to the possibility of Sam Sumana leading the APC into the 2018 elections. This self-inflicting anarchy is threatening to not only split the ruling APC party, but has brought paralysis to the heart of government. Should this continue any longer, the repercussions in terms of investor confidence in Sierra Leone and aid donors’ support will be immense. There are competing demands in other parts of the world for foreign investment and overseas aid, and Sierra Leone is no longer regarded as the world’s most pressing humanitarian problem. So what should president Koroma do now? President Koroma must reshuffle his cabinet and advisers now, so as to maintain order in his government and begin to rebuild its integrity. Never in the contemporary history of Sierra Leone has so much anarchy and dysfunctionality been brought to the corridors of State House, by those appointed to help the president achieve his goals. And this must be a symptom of their desperation for power. But what is at stake here is not only the effectiveness of the president in asserting his authority, but the political stability of the country, on which so much depends. So, whilst many would understand the need for the president to ‘down tools’ and walk away from the problems back in Sierra Leone, this cannot be the solution. The president has to show leadership. What the people of Sierra Leone need right now is for the president to show that he is truly in charge of State House, and above all – that he is in control of ministers and advisers. As we reported last week and corroborated by the pro-ruling party Newspaper – Cocorioko, ministers and senior State House executives are now openly at war with each other, briefing and counter-briefing the media for their own selfish ends. “The other problem rearing its ugly head is the reprehensible infighting between members of our beloved party and government that has started making life unpleasant for many of us. “Because some ministers within have developed a morbid hatred for each other, we in the media now have to tread a fine line between caution and discretion when covering certain government officials. “If we give publicity to certain ministers or public officials, for instance, some people holding certain positions clearly come out to demonstrate their displeasure with acts that border around antagonism, disdain or veiled threats. “What these ministers and government officials need to know is that we in the media cannot take sides in their infighting. We have to remain neutral, except if it affects the President, who is the overall boss for every single government official. “We cannot be part and parcel of the power struggles and feuds between ministers and other officials . Our primary obligation is to the President, Commander-In-Chief and the Fountain of Honor and Justice. “At a time when unscrupulous elements in our country are fighting hard to subvert the Presidency and good government, this may not be the time for infighting and personal feuds .This is the time for collective action. But given the nature of the causes of this anarchy within president Koroma’s government and the strength of personal bitterness it has created, it is impossible for president Koroma to continue to keep his ministers and advisers in their current offices and job roles. The president must reshuffle his cabinet now before it’s too late. He must act to avoid further damage being done to the country’s economy, because of government paralysis caused by this internal strife. President Koroma must recall back to Freetown, some of his most hard working communications personnel that are based overseas, who have not been tainted or compromised by the current political strife, to take immediate responsibility for State House and government communications. 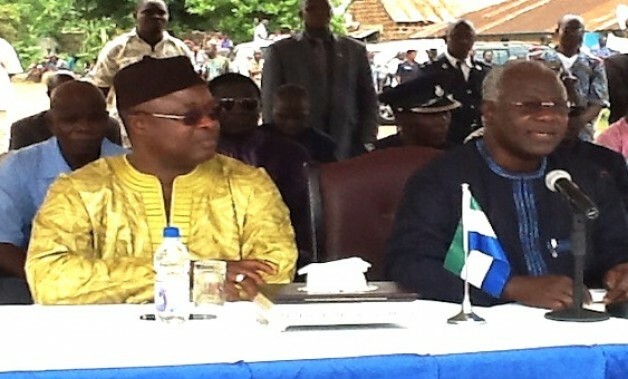 The names of three public servants dedicated to president Koroma’s cause spring to mind. They are: John Baimba Sesay who is at the Embassy in China, Alhaji Jalloh who is at the Embassy in Saudi Arabia, and former State House information officer – Joseph Kamanda. Whilst the Sierra Leone Telegraph carries no brief for any of them, nor does it agree with some of their published writings about the government’s performance, their honest conviction to help achieve Koroma’s Agenda cannot be doubted. They are not known for causing any rancour, no matter how much one may disagree with their politics or opinions. They are truly professional. These are the people that president Koroma should at this moment include in his new ministerial and advisory team, especially with responsibility for State House information management. 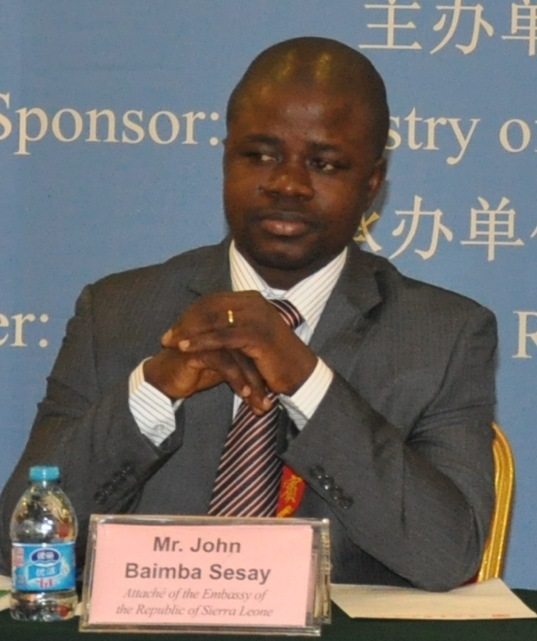 John Baimba Sesay has a good pedigree. He is a young man at age 32, and has a very strong academic as well as a career background in media, public relations and communications. With a Bachelor of Arts (Hons) and a Masters Degree in Mass Communication from Fourah Bay College, University of Sierra Leone, John’s career history looks quite impressive. He is currently the Information Attaché at the Sierra Leone Embassy in Beijing, China, where he is single-handedly working hard to promote Sierra Leone to attract foreign investment. In 2011 he was Communications Specialist at the West Africa Regional Fisheries Programme-Sierra Leone (WARFP-SL) – a World Bank Funded Programme based in Sierra Leone, Senegal, Liberia and Cape Verde. He also served as Assistant Public Affairs Officer in the office of the Commissioner-General of the National Revenue Authority (NRA), where he was responsible for dealing with all media related matters; writing articles, organizing press conferences, issuing press releases, coordinating, hosting and moderating radio and T/V discussions on the NRA. In 2008/2009 he was the Information Officer of the Society for Democratic Initiatives (SDI), and was responsible for all media and public relations related issues. Also in 2008 he was a reporter for AWOKO Newspaper, where he researched and conducted in-depth investigations on matters of public interest. In 2007/2008 he was the Assistant Producer at Search For Common Ground/Talking Drum, where he was responsible for the weekly production of a radio documentary on local councils. In 2006/2007 John worked at For di People Newspaper as a Reporter. He was primarily responsible for reporting on court matters, writing articles, and reporting on Human Right issues. In 2005/2006 he was a Reporter at the Independent Observer Newspaper, where he also reported on court related news items and wrote articles. He also wrote an academic paper on ‘The Role of the Media in the Decentralization Process: A Case study of Talking Drum Studio’. With such pedigree, president Koroma could do worse by not appointing the likes of John Baimba Sesay, Alhaji Jalloh and Joseph Kamanda to his reshuffled advisory and ministerial team. But one thing is clear, to do nothing in the face of the chaos and anarchy fomented by individuals in his cabinet, is certainly not an option for president Koroma, if he truly cares about the office of the presidency. The people of Sierra Leone want to see a decisive and clear thinking leader whom they can look up to in times of national crisis. How he handles the current fiasco in his government will say a lot about his character as a leader. 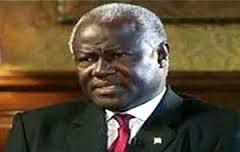 All eyes are now on president Koroma to reshuffle his cabinet and advisers.